mBraining Quiz - Reveal Solutions Training Ltd. This quiz assesses based upon your answers how well you may be communicating with your multiple brains and whether you may benefit from learning more about multiple brain integration technique. The feedback at the end is to assist the next steps in your development. Your score indicates that you have a very good sense of self. It is likely that you are already communicating with your multiple brains, leading a balanced and fulfilled life. Have you considered helping others achieve this through becoming an mBIT coach? Your score suggests that you have good sense of self, You may be communicating with you multiple brains naturally and on the whole, leading a balanced and fulfilled life. Sometimes we achieve things without fully understanding how we achieved it. Would it be of interest to you to learn some positive techniques that you could pass on to friends and family. We have the evolve program, a 2 day course suitable for anyone interested in mBIT for personal benefit. Your score suggests that there are times or maybe circumstances, where you are not getting the best out of your multiple intelligence’s, your Heart, Gut and Head Brains. We function far better, feel more in control, are able to access information that leads to better life choices and fulfillment when our multiple brains are in alignment. mBraining involves learning techniques to balance the autonomic nervous system and open up the natural communication channels that exist. mBraining has been developed from groundbreaking scientific research in neuroscience and techniques found and practiced for millennia by wise cultures. You would benefit from the Evolve Your World Program, a 2 day course run several times throughout the year. Sounds like you may be over using one of your multiple brains or using them in the wrong sequence, or that you are having difficulty communicating with one or more of the others when you need too. Your general state may be being caused because your autonomic nervous system is not in balance at present. The great news is that through multiple brain Integration these problems can be overcome leading you to a balanced disposition and a more fulfilling life. We suggest that you attend an mBIT Evolve your world course with us. Sounds like you may be over using one of your multiple brains a lot or that you are not communicating with one or more of the others. Your anxiety may be being caused because your autonomic nervous system is not in balance at present. The great news is that through multiple brain Integration these problems can be overcome leading you to a less anxious disposition and a more fulfilling life. We suggest that you attend an mBIT Evolve your world course with us. Your score indicates that you are looking to become a coach or want to work supporting others reach their true potential. Which ever branch of coaching or support work you are looking to work with clients in, it will benefit from the coach or support worker being aware of and qualified in multiple brain integration technique. mBIT is a powerful tool that brings about deep and lasting change for the client. We recommend that you book onto a mBIT coach certification with us. Your score indicates that you are looking to expand your coaching skills in order to facilitate greater, faster change for your clients. Which ever branch of coaching you are operating in it will benefit from you as the coach being aware of and qualified in multiple brain integration technique as mBIT is a powerful tool that brings about deep and lasting change for the client. 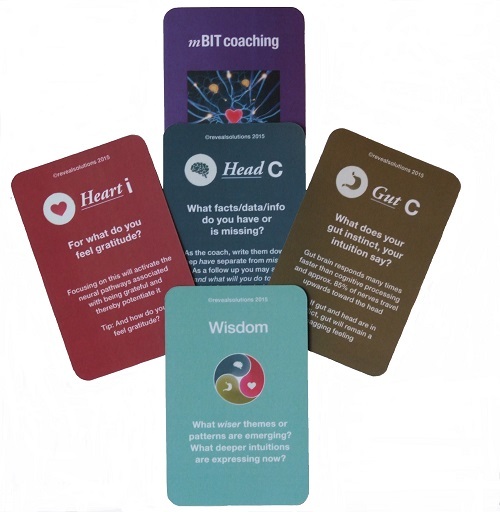 We recommend that in order to expand you coaching toolkit, you book onto a mBIT coach certification with us. Managers in all organisations face a common challenge, leading their teams in times of rapid change, change that may be driven from a number of areas, advances in technology, global competition, economic and political uncertainty, rapid innovations, disruptive challengers to their marketplace etc. Being able to to make important decisions, cope with and manage pressure, while remaining balanced in control and looking after the well-being of both yourself and those that you lead requires you to be making the best of all your intelligence’s. We recommend that you book onto an mBIT Leadership Decision Making course with us. As a senior executive leader there has never been a more important time than now to develop further the communication skills between our head, heart and gut brains. If we are to improve the health and well-being of ourselves and our staff to reduce stress and sickness, then we need to be making decisions that are not only creative in the way they improve our chances of success but that are also compassionate to all those we employ and trade with. We must be able to summon the courage to make difficult decisions, have resilience to overcome difficulties and to demonstrate the leadership behaviours consistently we inspire our staff and colleagues to demonstrate. Are you experiencing some difficulties in making wise decisions? You may experience regret over hasty decisions, take action quickly without fully considering outcomes, find it difficult to make decisions or struggle to move past the first option and take it anyway. How often do you know when your gut is communicating with you, and that you take notice of it? How often do you feel compelled to give or to offer your time or services to help in situations where someone or something is in distress or has suffering? How would you describe your general state? Are you looking to become a coach or want to work in another support capacity with people? Are you currently working with clients who are struggling to realise their true potential? Are you looking to add additional skills to your coaching skill-set? Have you experience of NLP or currently use NLP techniques in your practice? Are you involved in therapeutic work or patient care? Do you operate in a role requiring you to make management decisions in a VUCA environment? Is your performance frequently reviewed against KPI’s, KRA’s or SLA’s? Are you concerned about achieving long term sustainable results? Are you a leader concerned with the wellbeing of your people? Are you experiencing constant change and feel under pressure personally while trying to manage and support others? Do you find yourself in situations where you have to come up with answers and take decisive action in a limited time frame? Would like to have access to more intuition in order to help you be more creative, display more compassion and take courageous decisions?